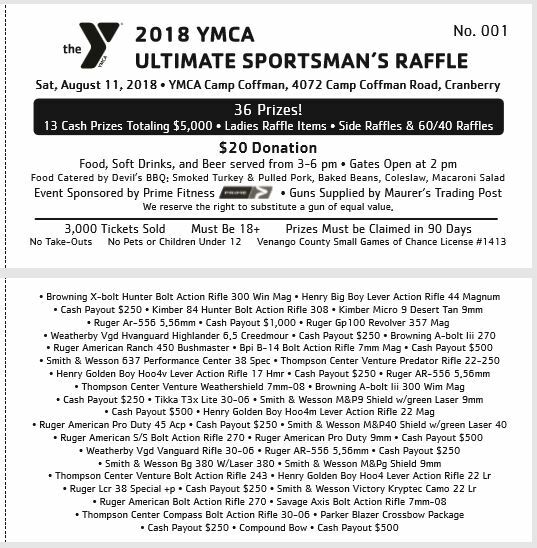 CRANBERRY, Pa – The YMCA has tickets available for their upcoming YMCA Ultimate Sportsman’s Raffle at Camp Coffman on Saturday, August 11, 2018. Tickets can be purchased at the Oil City YMCA, Franklin YMCA, Clarion County YMCA, Grove City YMCA, Devil’s BBQ, Maurer’s Trading Post, and through various ticket sellers associated with the YMCA. Devil’s BBQ will be catering the event and will provide ticket holders with an amazing meal of smoked turkey, pulled pork, coleslaw, macaroni salad, baked beans, a drink, and dessert. The YMCA Ultimate Sportsman’s Raffle will be held on Saturday, August 11, 2018. Gates open at 2:00 p.m. Representatives of the Oil City YMCA, Clarion County YMCA, Franklin YMCA, and Grove City YMCA have been planning the event since early 2017. Funds raised will benefit all four YMCAs. Beer will be served at the event for a $5.00 cup donation. Once the cup is purchased, refills are free. Tickets for the event are $20.00. The cost of the ticket includes the meal and entry to win 36 prizes, with 13 cash prizes totaling $5,000.00. Side raffles will begin at 2:00 p.m. Raffles include a 60/40 raffle (with 60% of the total going to the winner), a large Chinese auction, ladies raffle items, and more. Tickets are on sale now at the Clarion County YMCA, Oil City YMCA, Grove City YMCA, Franklin YMCA, Devil’s BBQ, and Maurer’s Trading Post. Only 3,000 tickets will be sold. 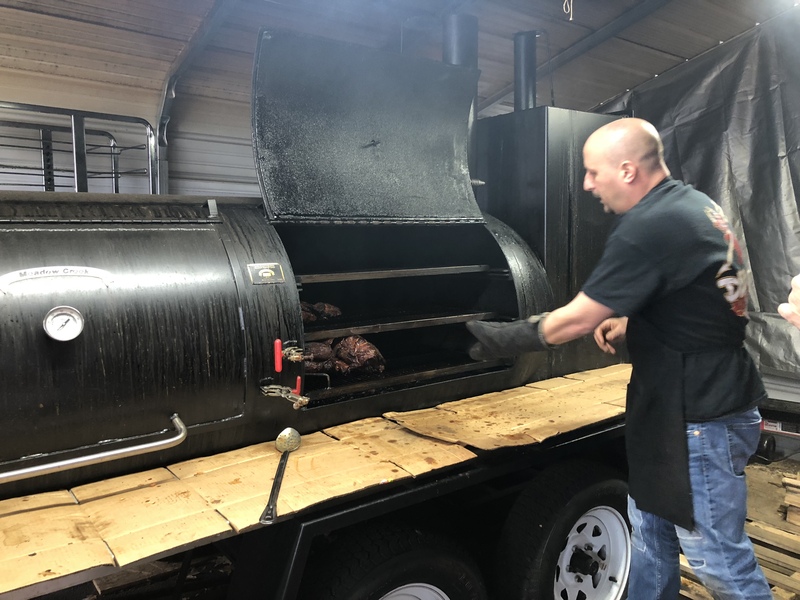 Hetrick’s meats are seasoned with a dry rub and will be smoked for several hours starting early Saturday morning at Camp Coffman. “Devil’s BBQ is known locally for homemade side dishes, and very flavorful, authentic BBQ,” said Spence. The goal of the raffle is to bring people together for a great cause. The YMCA is a non-profit organization that aims to strengthen the community. Everyone, regardless of age, income, or background, has the opportunity to learn, grow, and thrive at the Y. No one is turned away for inability to pay. All funds raised at the raffle will help more children attend programs like youth sports, or go to summer day camp. For more information about the raffle, visit the YMCA Sportsman’s Raffle Facebook page or the raffle website at www.campcoffman.com/raffle.